As an income tax payer, there are several documents which one ends up needing to file their tax returns. One among them is your life insurance policy premium statement. If you have taken an LIC insurance policy, chances are that you are paying your premiums either online (via electronic clearing service or ECS) or offline at the designated cash counters specified for the same. For filing your tax returns, one of the things you will require to provide is your LIC policy premium statement for the ongoing financial year. All LIC customers who have an account on LIC’s official site and have registered their policy online can generate these premium statement receipts whenever needed. Listed below is the process to be followed to generate a consolidated premium payment receipt for your LIC insurance policy. 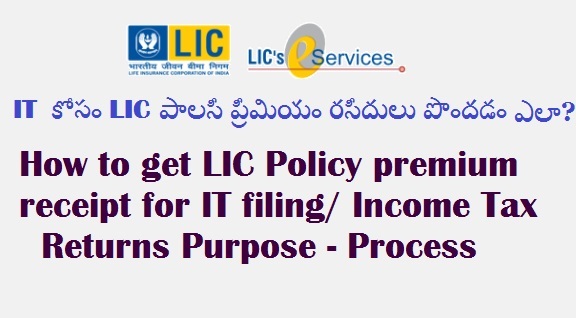 Visit the LIC login page (https://customer.onlinelic.in/LICEPS/Login/begin.do). Once you are on the page, you will be asked to enter your account username and password. Enter the necessary details. You will also be asked to answer a verification question, answering which, you will be redirected to the home page of your LIC online account. Once you are on the homepage of your online LIC account, hover to the menu placed on the left side of the home page. Here you will see a tab labelled ‘Consolidated Premium Paid Statement’. Click on the ‘Consolidated Premium Paid Statement’ tab and the page that appears next will ask you to select the year of the policy for which you require the premium statement. Below the column asking for the year will be a verification question which you need to answer. Once you have answered the question, click on ‘Submit’ to get your premium paid statement. Your premium paid statement will open as a new window so ensure that you do not have a pop-up blocker or any other similar software running. You can easily download this statement, save it on your desktop or print it out for your reference.